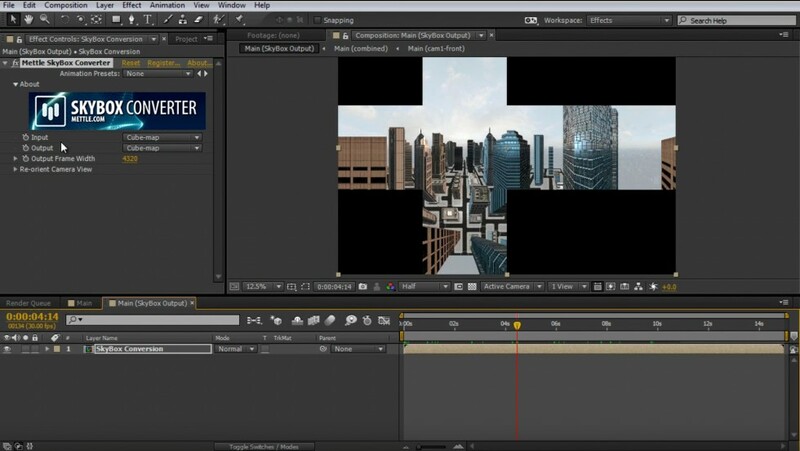 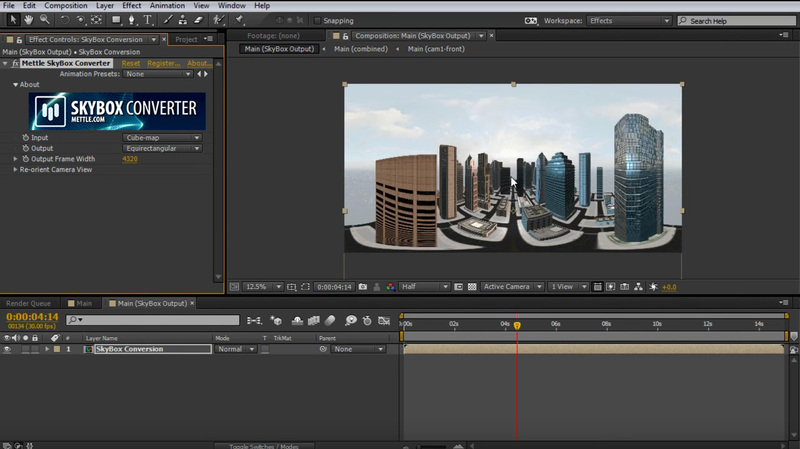 Set up your cityscape using Element 3D Metropolitan Pack, street_layout_4. 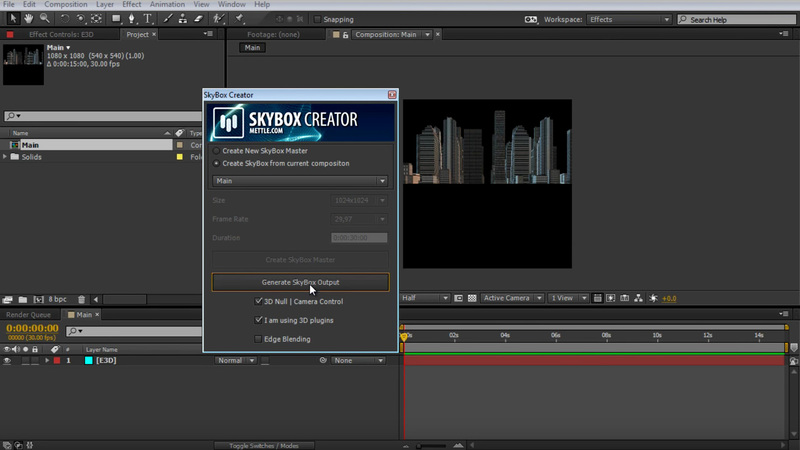 SkyBox Creator takes the Main comp and brings it into the precise format necessary for 360 output. 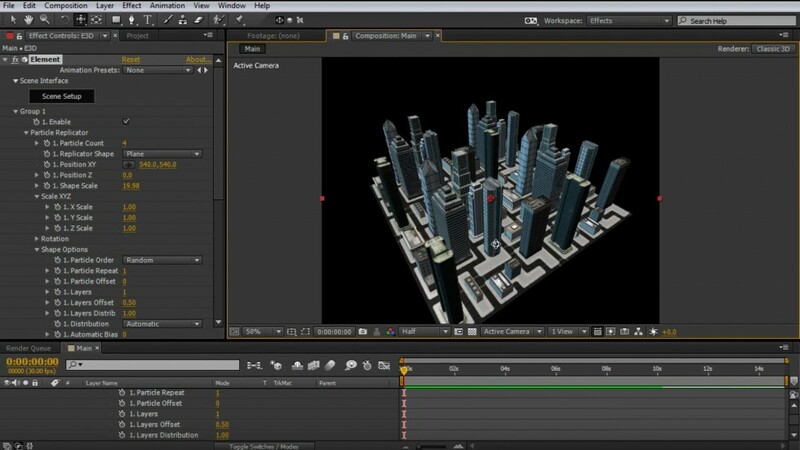 SkyBox Creator places 6 camera views, linked to a SkyBox Master Camera, to give a mathematically precise 360 output file. 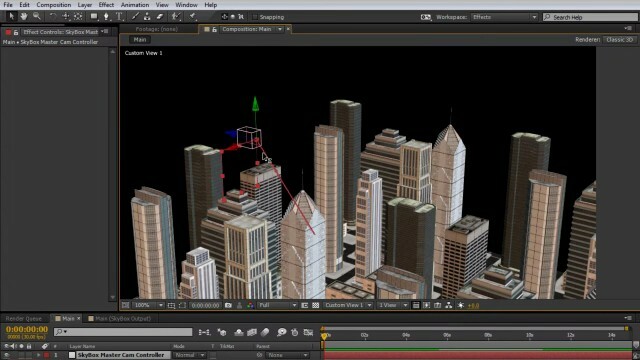 Learn how to do a simple camera move through the cityscape, to make your 360 video more immersive. 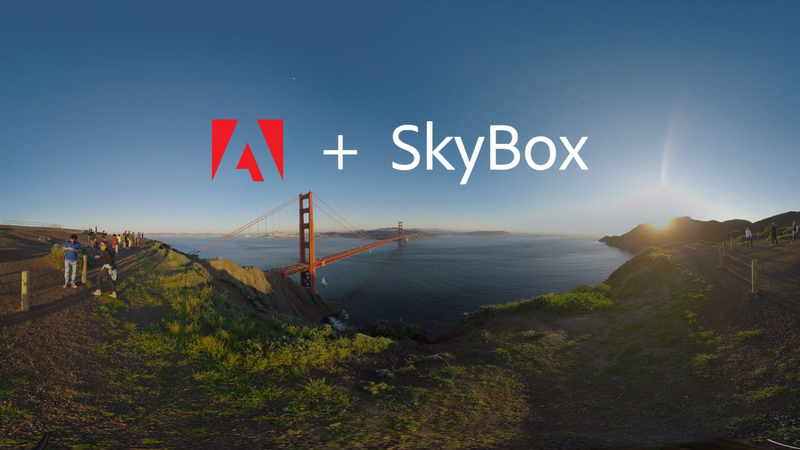 See how to use SkyBox Converter to change formats easily between Equirectangular, Cubic Cross, Spherical and FullDome. 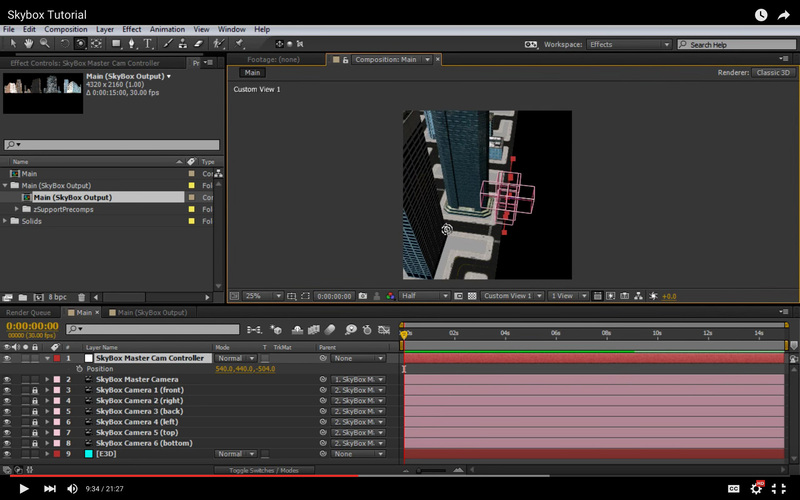 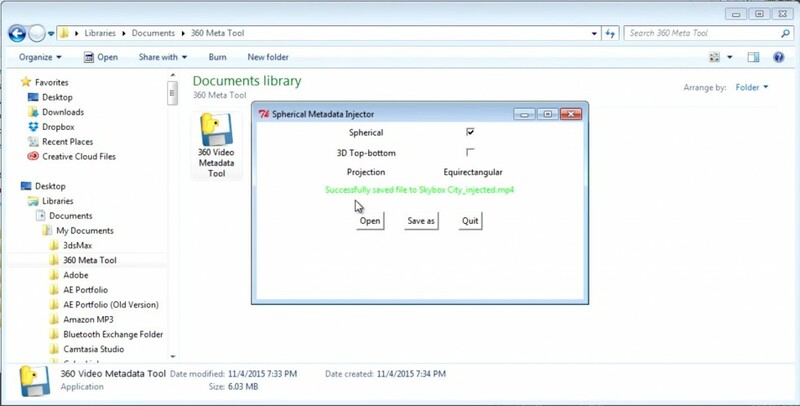 See how to render out your Main comp with the correct settings, and apply youtube metadata.